Sick child draws. Little girl with a sick heart. Sad child draws a heart. hd00:15A child draws a heart. 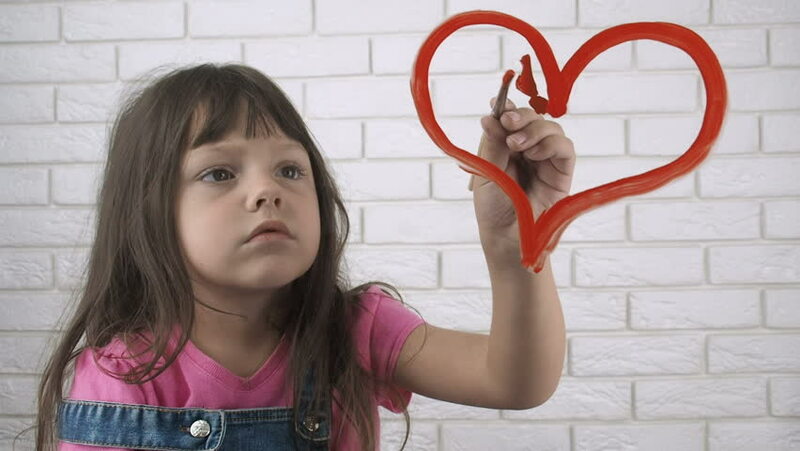 Little girl paints the heart. hd00:18Little girl draws balloons on the glass. hd00:20The child paints. Little girl draws on the glass. 4k00:13Cute little girl sews a handbag. The child learns to use a needle and thread sitting on the windowsill on the background of snowy trees, dolly shot.